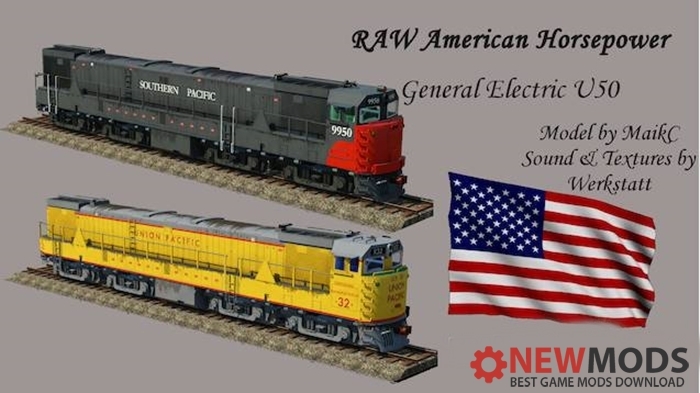 GE U50 – Union Pacific und Southern Pacific mod for Transport Fever. The GE U50 was an eight-axle, 5,000 hp (3.7 MW) diesel-electric locomotive built by GE Rail. They were twin-engined locomotives, combining two 2,500 hp (1,900 kW) diesel engines.